Paige L. Rabalais is responsible for development of asset management mandates across endowments, foundations, public plans and healthcare organizations in southern and central United States. 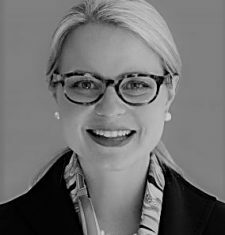 Prior to joining Commonfund in 2016, Paige developed new relationships with major public, corporate, endowment, foundation and global funds at Neuberger Berman in New York, NY as a member of the Institutional Client Group for over four years, providing a full range of traditional and custom strategies with an emphasis on alternatives. She worked with Strategic Value Partners, a private equity and hedge fund firm in Greenwich, CT in business development and previously, she was a senior regional marketing associate with Putnam Investments in Boston, MA partnering with investment advisors. A native of Texas, Paige earned a BS in Business Administration from Babson College and an MBA in Finance from Tulane University, holds Series 6, 7, 31, 63 and 65 licenses and has also been awarded the Chartered Alternatives Investment Analyst designation. Paige has served on the Board of Trustees of Oldfields School in Glencoe, Maryland, an all-girls school, and as a member of its finance and investment committee. She is a member of the Junior League of New York and The Princeton Club. She co-chaired a post-Katrina fundraising event in New York for a New Orleans nonprofit and has volunteered in support of numerous organizations.